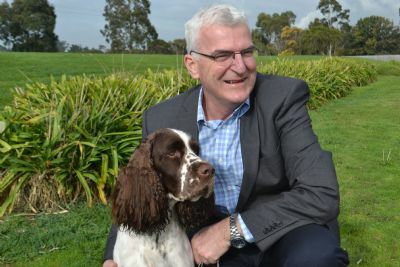 Winning Best in Show at the prestigious 2018 Adelaide Royal Dog Show under arguably the most acclaimed international Gundog specialist judge, Mr Frank Kane (UK)]. After achieving Baby in Show at his very first all breeds show, he won Best of Breed (11 points) the day he turned six months of age. At 10 months of age he took out Best in Show at the English Springer Open Show in NSW against some very classy competition in what was essentially the same entry as the Championship show held the same day. At 15 months he won his first Gundog Group under respected Gundog specialist, Geoff Love and followed this up quickly with an All Breeds Best in Champ Show win. 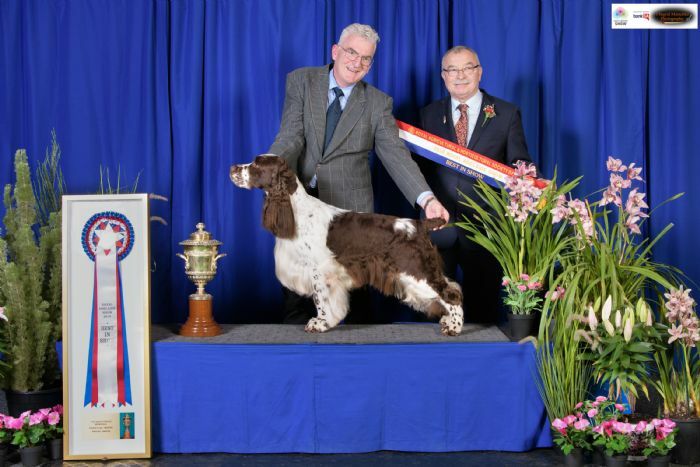 By 3 years of age, he had gained his Supreme title and was Australia's top English Springer Spaniel and Victoria's top Gundog for 2015 (Dogzonline national all breeds points score). 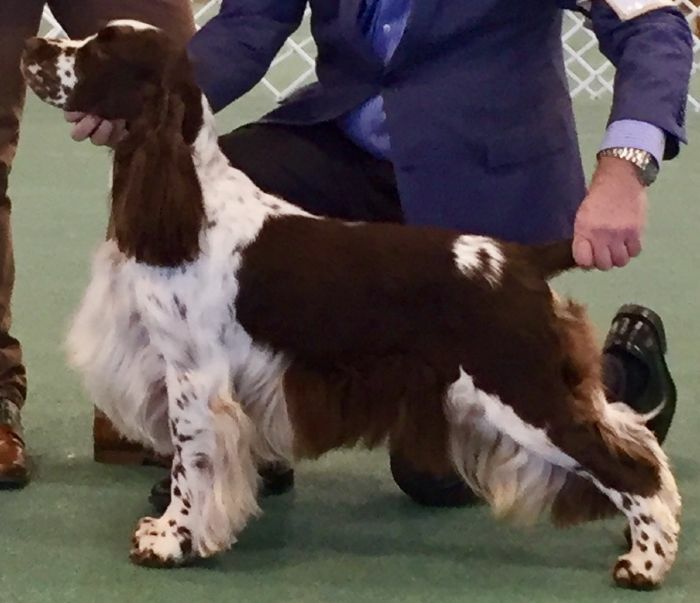 Now 6 years old, he is a multi all breeds Championship BIS winner and multi- Speciality Best in Show winner, under renowned international Springer Spaniel specialists, including Boris Pegan (Croatia), Jens Karlsson (SWE),and Jackie Mitchell (UK). Undoubtedly a golden Kinsheran superstar!! Extra info: He has a hip score of 1-1 and has tested clear for PRA Cord 1.